Jean-Marc Fournier and Philippe Couillard have called on Ottawa to work with provincial governments on the pipeline impasse. Quebec politicians are speaking out against Ottawa's intention to override British Columbia in its opposition to the Kinder Morgan Trans Mountain pipeline extension, and are calling for more collaboration with provincial governments when it comes to environmental legislation. 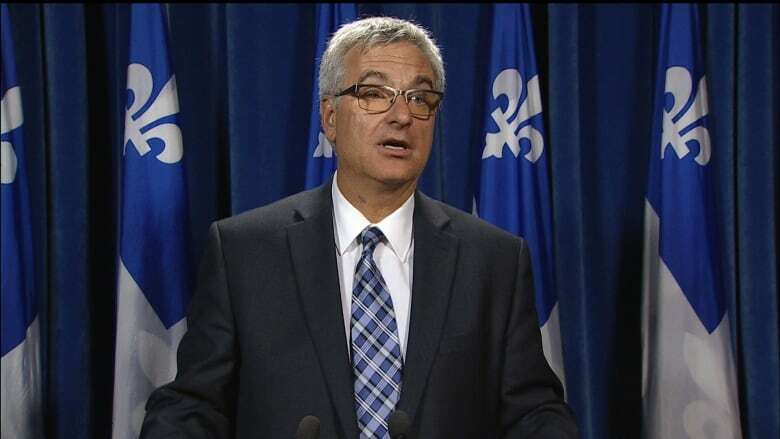 In an open letter published with CBC, Jean-Marc Fournier, the Quebec minister responsible for Canadian relations, called on the federal government to acknowledge and work with provincial legislation with regards to projects that touch both provincial and federal jurisdiction. "The recent assertions of federal representatives regarding the Trans Mountain pipeline, which refer to an exclusive application of federal rules, are detrimental to a proper resolution of this issue and raise concerns for the future," he wrote. One federal official, Finance Minister Bill Morneau, said Friday that Ottawa is "resolved to move forward on the project." "We have the federal tools to do that. We will be, of course, discussing how to do that with the project proponent," Morneau said. Fournier said these types of claims encourage those running these projects to ignore provincial environmental rules enacted on behalf of citizens interested or affected by projects that could have environmental consequences. The minister was not available for comment Saturday. Federal Bill C-69, which was put in place to improve the country's environmental assessment process, must explicitly show that proponents will not be excused from provincial legislation, Fournier said. 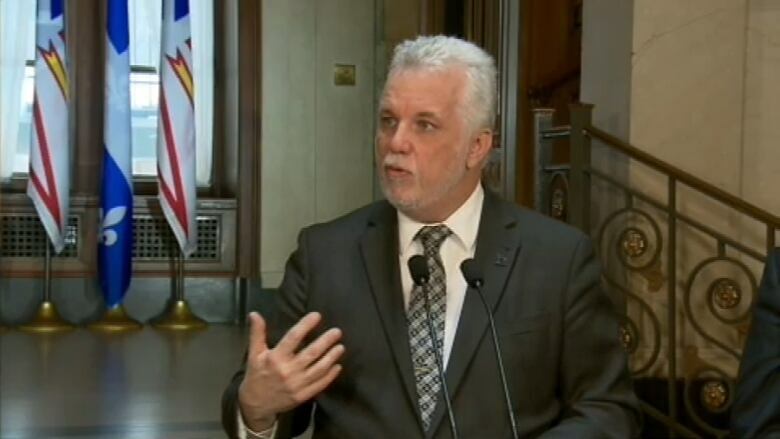 Quebec Premier Philippe Couillard said Thursday that the federal government's plans to go ahead with the pipeline are "not a good sign for federalism." He agreed that provinces should be a part of Bill C-69, instead of "always running parallel processes." "At the end of the day it's about people, citizens living on the land," Couillard said. "Why don't we work together and exercise our full jurisdiction?" On Saturday, Couillard said that a project that's so close to communities and people's lives has to have social acceptability. "We have to have [provincial and federal governments] collaborate as we evaluate these projects, that's how we'll have the most success," Couillard said. "The essence of federalism since 1867 has been collaboration, and it has to stay that way." Fournier's letter comes one day after Prime Minister Justin Trudeau announced he would interrupt a nine-day foreign trip to meet with British Columbia Premier John Horgan and Alberta Premier Rachel Notley on Sunday to discuss the deadlock on the pipeline project. Tensions over the Trans Mountain expansion have been building since Kinder Morgan suspended all non-essential spending on the project last Sunday. The company has given the federal government until May 31 to deliver concrete assurances that the expanded line will get built. The federal government isn't expecting Sunday's meeting between Prime Minister Justin Trudeau and the premiers of Alberta and B.C. to lead to an agreement to get the stalled Trans Mountain pipeline expansion project moving again. A senior federal official told CBC News there is almost no chance that Horgan will drop his opposition to the project on environmental grounds. Notley, however, has stood by her support of the project on numerous occasions. This isn't the first time Quebecers have spoken out against pipeline projects. Last October, Quebec politicians and environmentalists hailed the demise of the Energy East pipeline, which would have carried 1.1 million barrels of crude oil a day from Alberta and Saskatchewan to New Brunswick, passing through Montreal, along the St. Lawrence River through Lévis, up to Cacouna before veering east. The project was not popular in Quebec, where protesters notably crashed National Energy Board hearings into the proposal, leading to the cancellation of those hearings in August of 2016. First Nations leaders in Quebec also spoke out about Energy East and they continued to assert their support to those fighting pipeline projects today. The Assembly of First Nations of Quebec and Labrador urged the federal government to take action to stop the pipeline's expansion in a statement today. "We understand the frustration and exasperation of First Nations that demand this project be abandoned once and for all," the statement, signed by AFNQL Chief Ghislain Picard, reads.